My friend's mom, who also happens to be my neighbor, has to be one of the sweetest and coolest ladies out there. 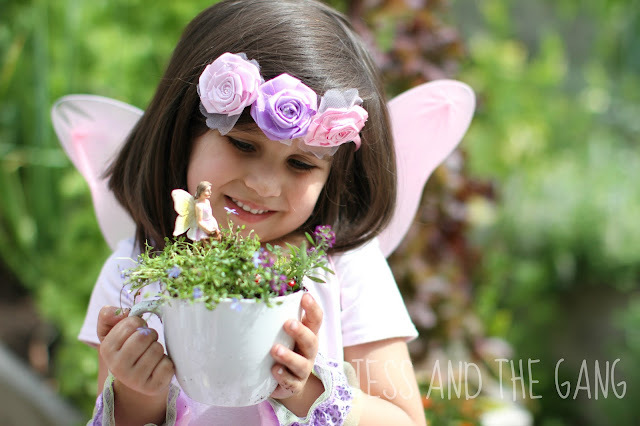 Her garden is like no other. It is always overflowing with a bountiful harvest. She has chickens, ducks and bunnies. 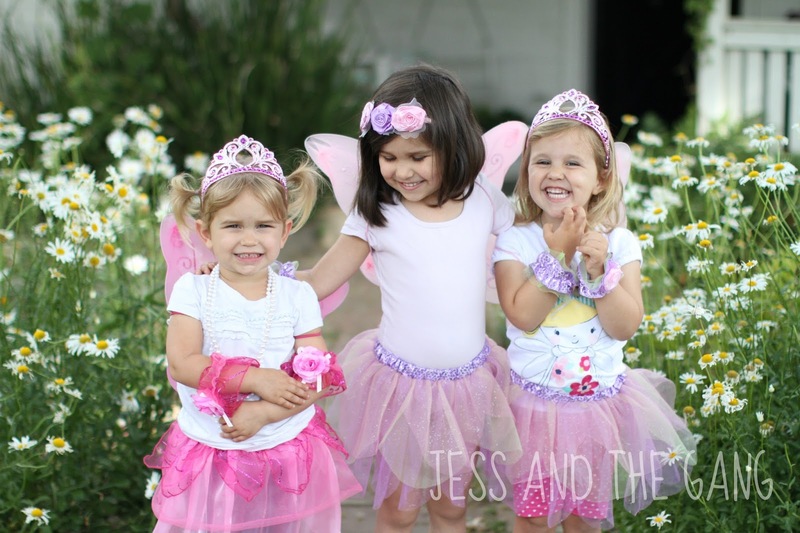 My kids love going over there…heck, so do I! 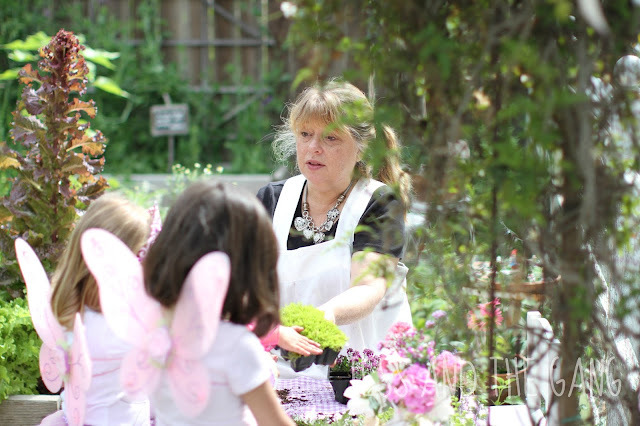 This past week, she hosted a fairy garden party for the girls (her granddaughter, Isla and another friend's daughter). And when she hosts something, she hosts something. It started out with the handmade invitation that went out a couple weeks ago. Isla has been carrying that thing around with pride and excitement and counting down the days until the party. 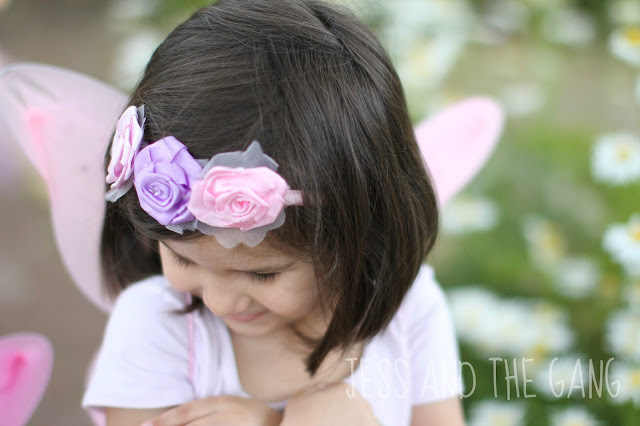 She got the girls little fairy outfits…which I was pretty much dying of cuteness just watching Isla run down the street to her house all dressed up. 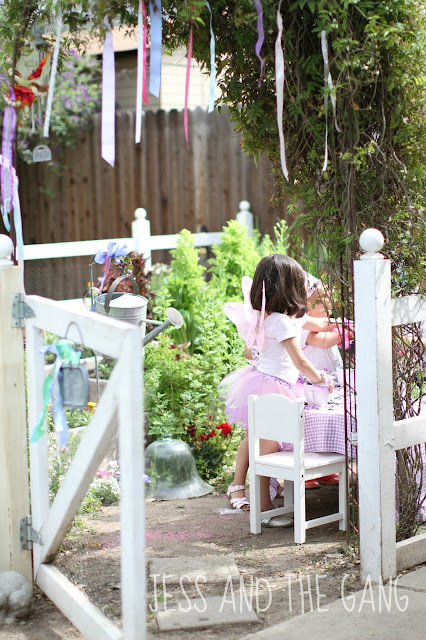 There was a fairy bell to ring when they entered the garden. 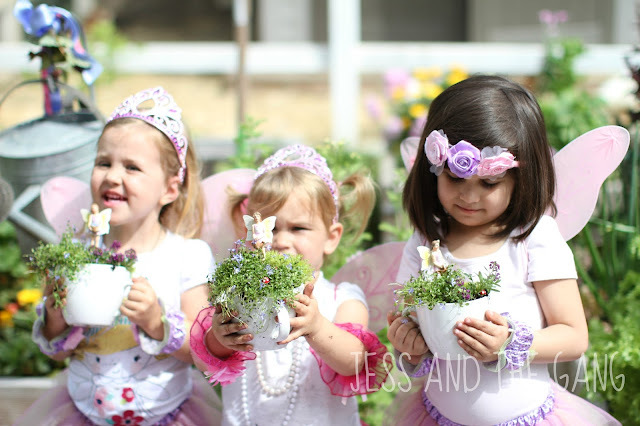 The girls had a tea party. 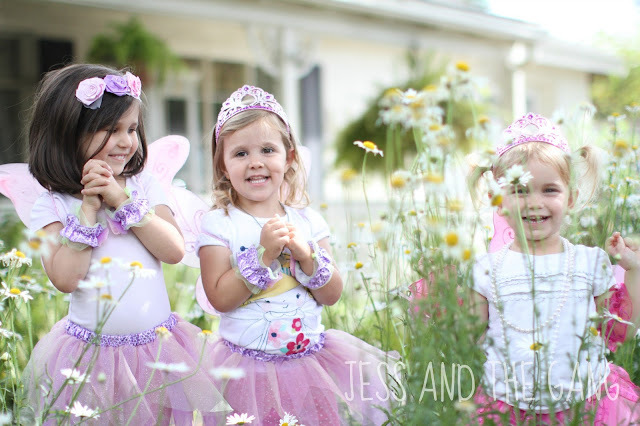 Then they got to spread fairy dust everywhere. 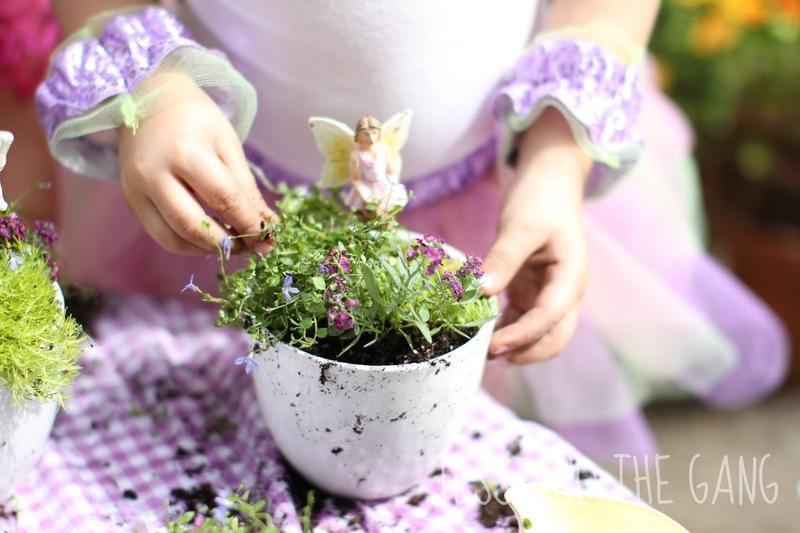 And, they made little fairy gardens to take home. And us moms? Not only did we get to just sit back and watch the cuteness unfold, but she lavished good food and drink on us too. It was pretty stinking awesome. 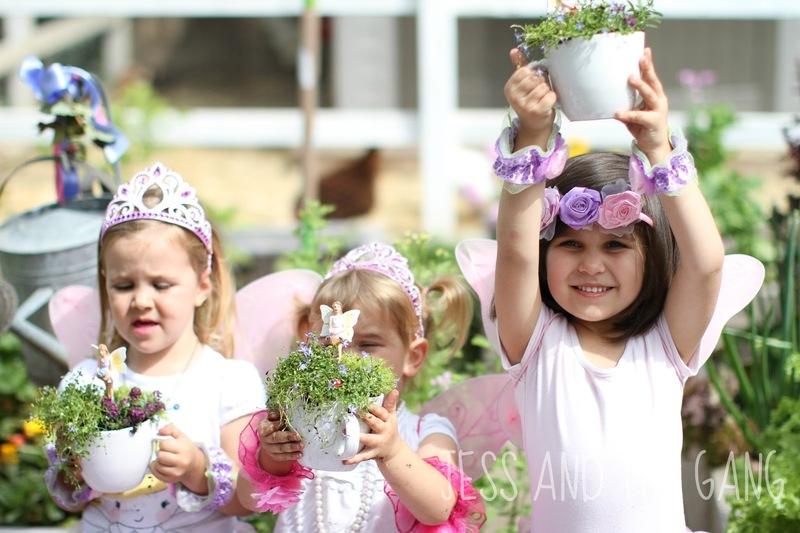 Super amazing fairy garden party! The photos are so cute. Looking forward to see more such posts. 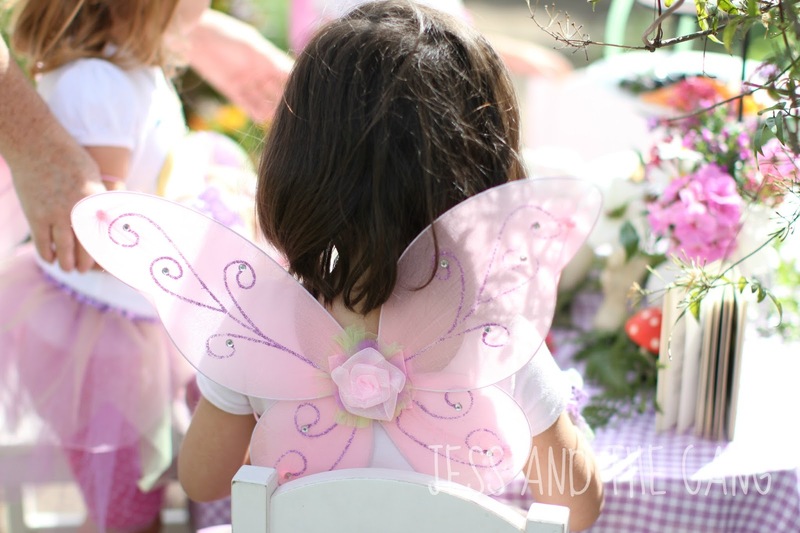 Anyways, I also have to find such ideas for my twin’s birthday party. Have just booked the outdoor Los Angeles venues and will soon be deciding on party theme as well.